Here at DLP Town Square we are huge pin collectors, and knowing that a large portion of Disney Park fans are pin collectors, we felt we needed to share these new pins! At the Indiana Jones pin trading event yesterday, a few pin sneak peaks were given. Here is what to expect for the rest of 2013 and in 2014. 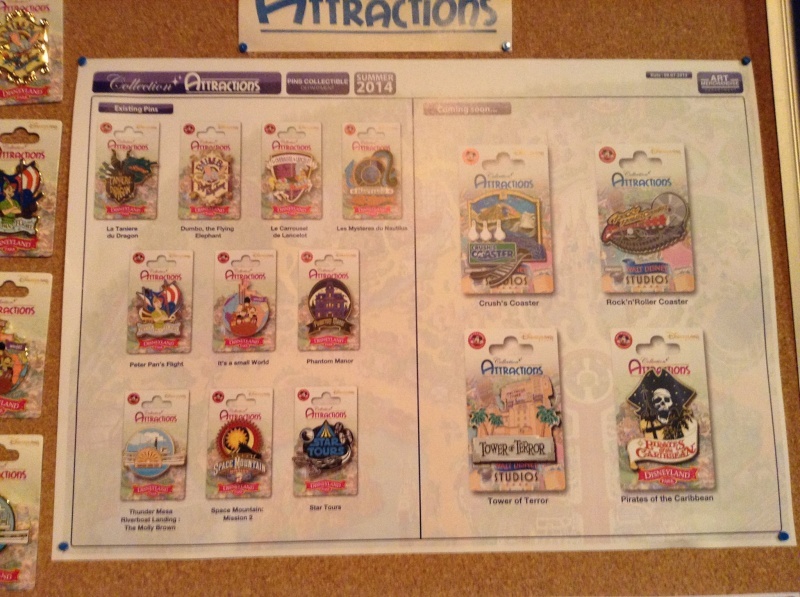 Amongst the big news is that the hugely successful attraction pin series will continue and even extend into lanyards, as well as the 2014 Disney Parks imagery pins. 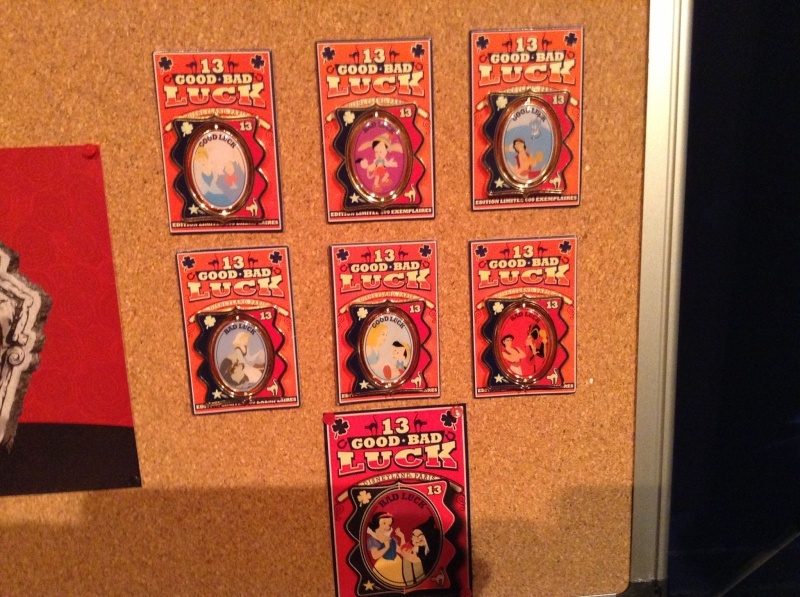 We start with this good luck / bad luck series, 4 pins will be available in this set which started in July 2013 with the Cinderella pin, it seems that this set could continue until October 2013 with one pin per month. The set is a double-sided spinner set with one side depicting an element of good luck in a Disney film (such as Cinderella with the fairy godmother) and another side featuring bad luck (such as Aladdin with Jafar). 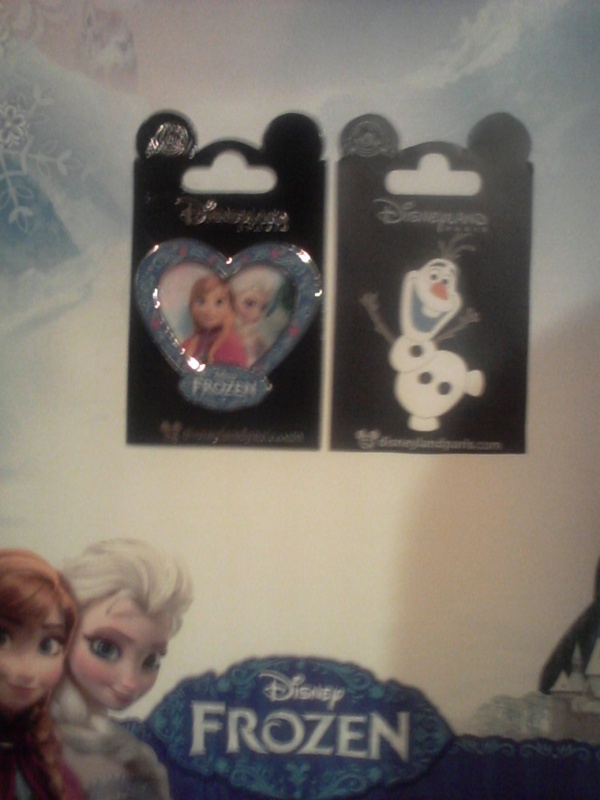 My personal favourite in this set is the Aladdin pin. This really is a classy set that we love! Next up is the big news of the event is that the wonderfully designed attraction pins are set to continue into 2014, with the addition (finally!) of an Adventureland pin in the form of Pirates of the Caribbean. We really like this pin, the imagery on these are reasonably ‘grown up’ and up to present there are not any especially ‘adult’ pins with a pirates imagery. We then move into the Walt Disney Studios park with another fantastically designed Crush’s Coaster pin, the Rock’n’Roller coaster pin looks very much like the one currently on sale. Despite the fact Disneyland Paris has a lot of Tower of Terror pins currently on sale (and most of them very well designed), they have seen fit to release another pin. We are once again fans of this set and cannot wait to add these to our collection! More princesses! 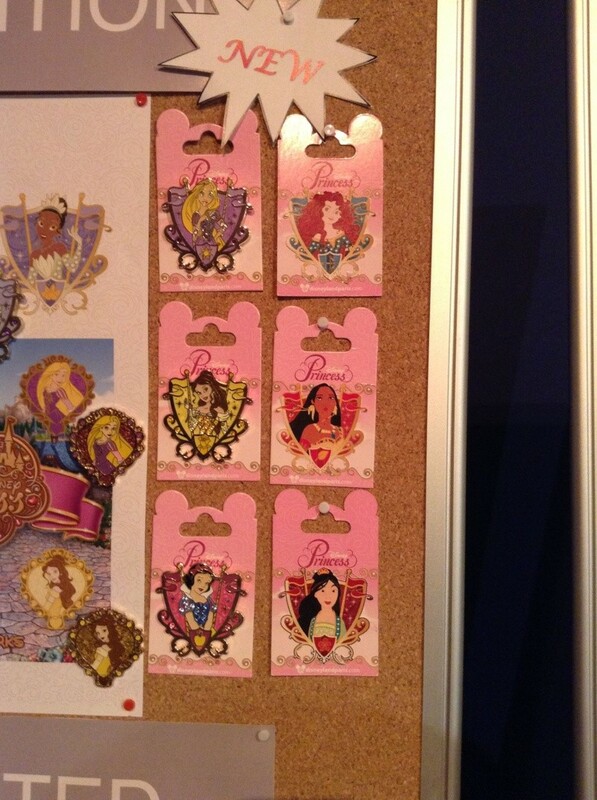 If you like princesses these carriage style pins are beautiful and features the rarer princesses of Pocahontas and Mulan. It also features the princess branding with Merida, in what is a Disneyland Paris first! If you are enjoying the current wave of Phantom Manor merchandise, here is yet another to add to your collection. 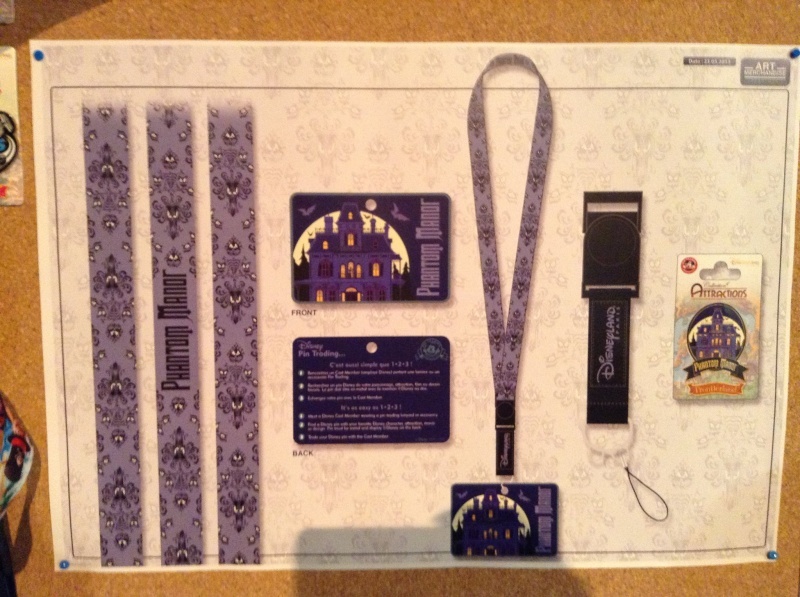 Fans of this classic Disneyland Paris attraction will be wanting to display that Ravenswood Manor wallpaper round their neck with the spooktastic pin collection! Isn’t it crazy that we are already thinking about 2014? Disney Parks across the world usually release various pieces of merchandise with the year visual, Disneyland Paris is no different. I really like the booster set here featuring the year with the various land landmarks, such as the Earful Tower, the Castle, Phantom Manor and Space Mountain. 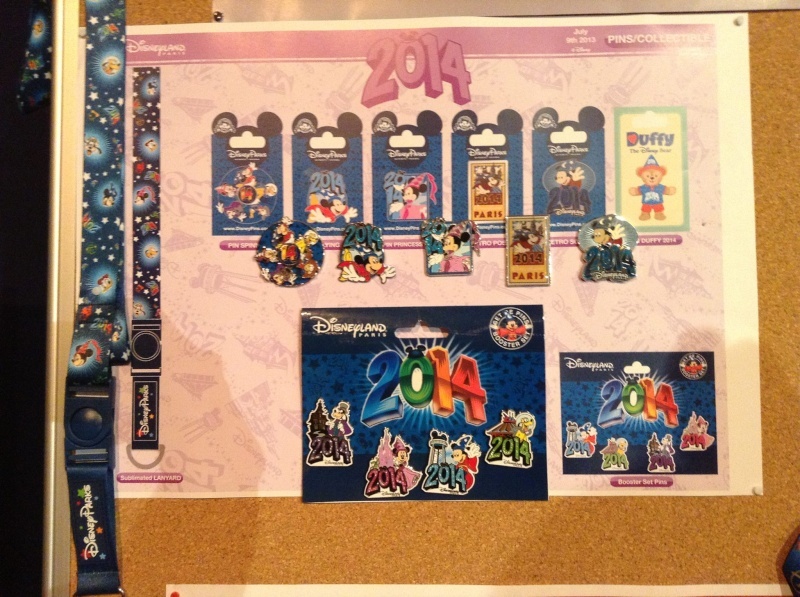 The usual lanyard, Duffy and spinner pins will be released as well. Fans of year merchandise will snap these up. I really like the 2014 visual, however the 2013 visual tops it a little bit in my opinion. It’s 20 years since that familiar ‘This is Halloween’ song played in our cinemas. This will be celebrated by two rather average open edition pins, however it’s that limited edition 20 years pin that has really caught our attention. 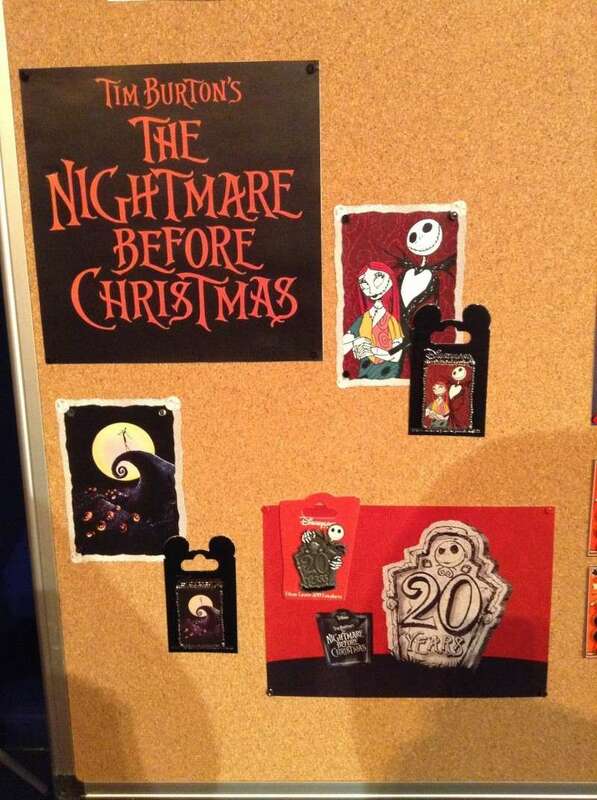 We love the 20 years visual on the tombstone with Jack peering round the back. Somehow we’ll find a way to get this one. The next two are a slightly lower quality, but still the visual can be seen. Frozen will be given some open edition releases to tie in with the new film. 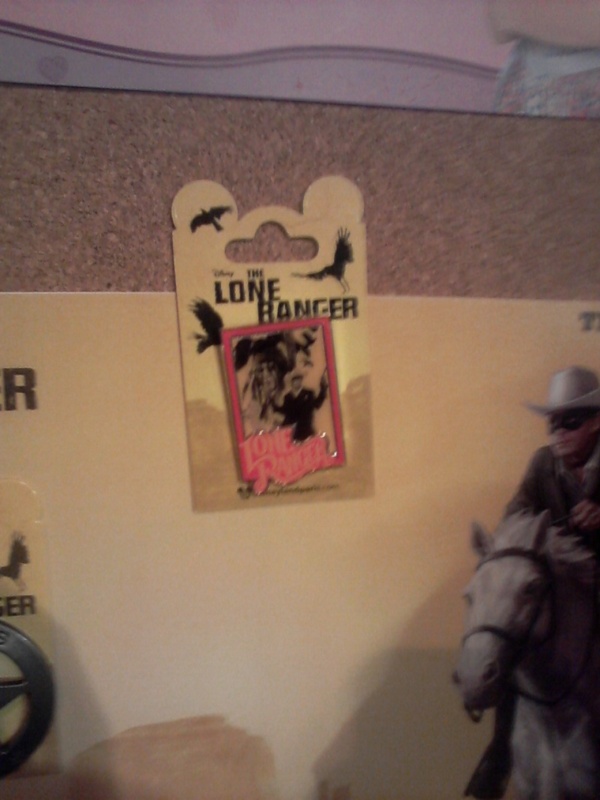 No prizes for guessing when this lone ranger pin will be released. Expect this on the August poster. 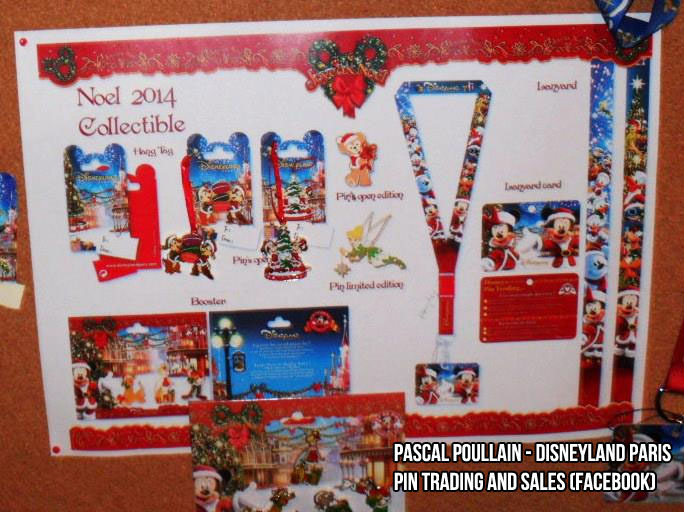 Overall, the Disneyland Paris pin trading team continues its form of exceptionally strong pin releases that make for great traders in the parks across the world. Tell us what you think by tweeting us @dlptownsquare or commenting below! We found these on the Disney Central Plaza forum, and were credited to a facebook user, despite our best efforts, we could not find the images of facebook and so cannot credit the images! Please contact me (info@dlptownsquare.com) if these are your images as we would really like to credit you! 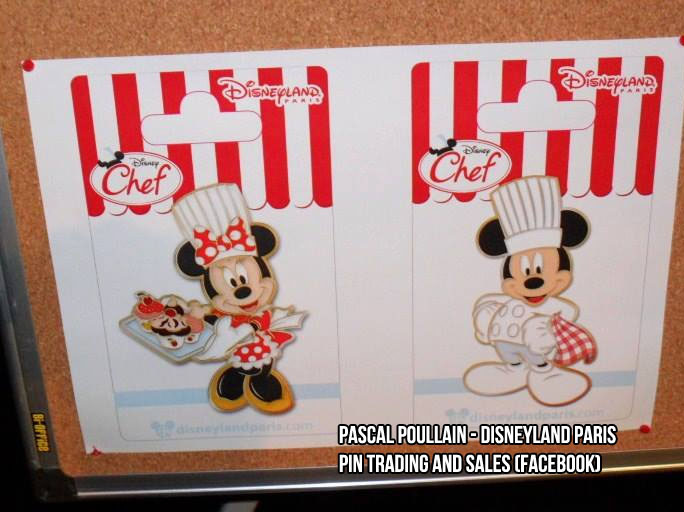 Let’s carry on with these Chef images, these seem quite a random choice for pin releases, but I actually really like them. It’s no secret that I’m a huge fan of Christmas in Disneyland Paris, and this years visuals look stunning. The open edition pins are Chip and Dale, which looks very nice and a Mickey and Minnie in front of a Christmas tree (not too dissimilar to last years offering). We get our usual lanyard which is a bit busier than last year, but looks nice enough. A Duffy open edition pin, and a Tinkerbell limited edition pin continue the celebration, and our usual booster pack with various characters rounds off this christmas pack. 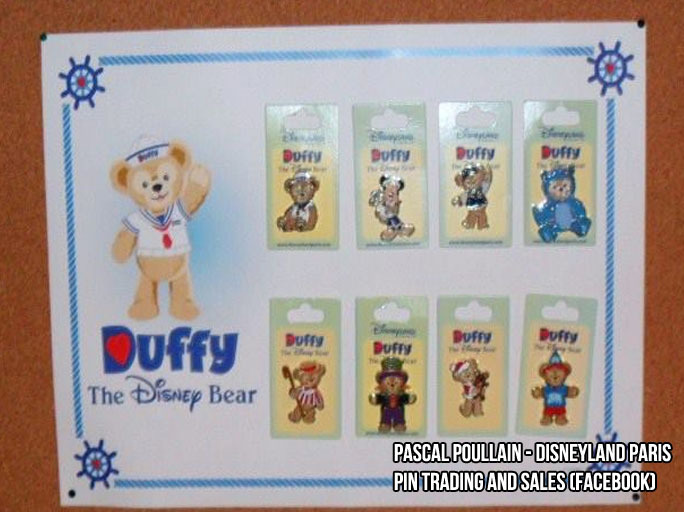 A small summary of the Duffy pins so far, nothing we’ve not seen previously here, except the Halloween Duffy which I really do like. The Disney marketing machine really is in overdrive. 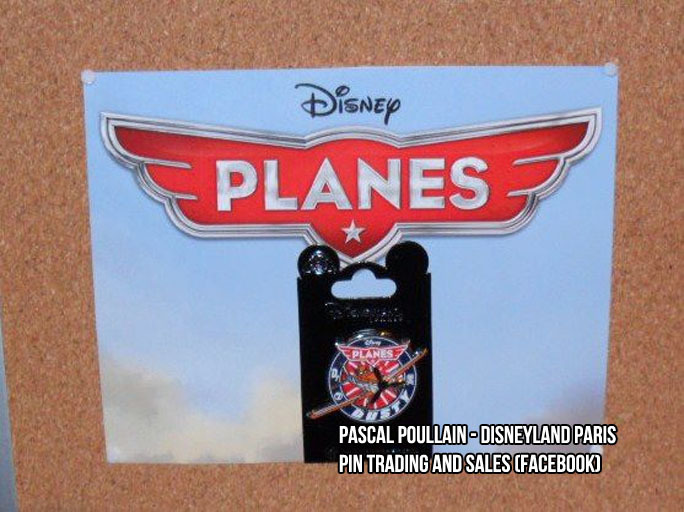 We’ve already seen Frozen and Lone Ranger pins, here is a planes pin…. 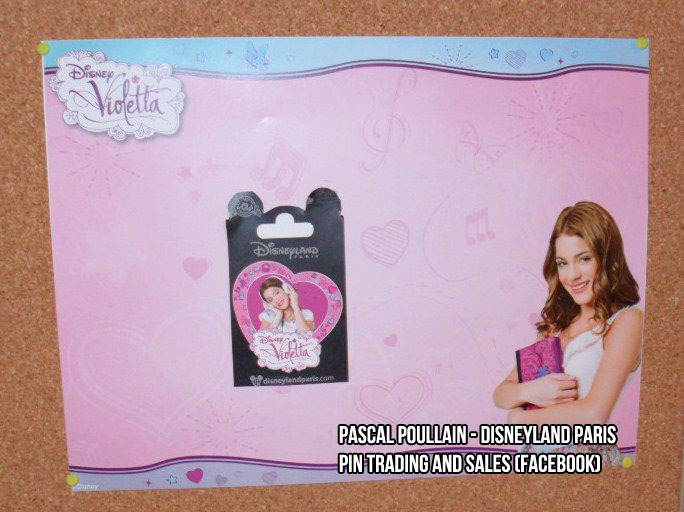 …and here’s a Violetta pin (a new addition to the Disney Channel family according to @plazagardens).